The exhibition is finally on and it’s running from 21 October 2011 to 4 November 2011! It exhibits student’s works from SOTA’s Year 5 (pioneer) cohort. As the title suggest, works that are displayed are either completed works but part of a larger collection or still under development. All these works will finally be for the International Baccalaureate at the end of 2012! I shall be posting photos of the works displayed in the near future! There will be a art show of works from SOTA students on the 21th October 2011! There will be works of all mediums and type of art, from sculpture to painting to design concepts. Students will be there with their works if there are any questions or inquiries. 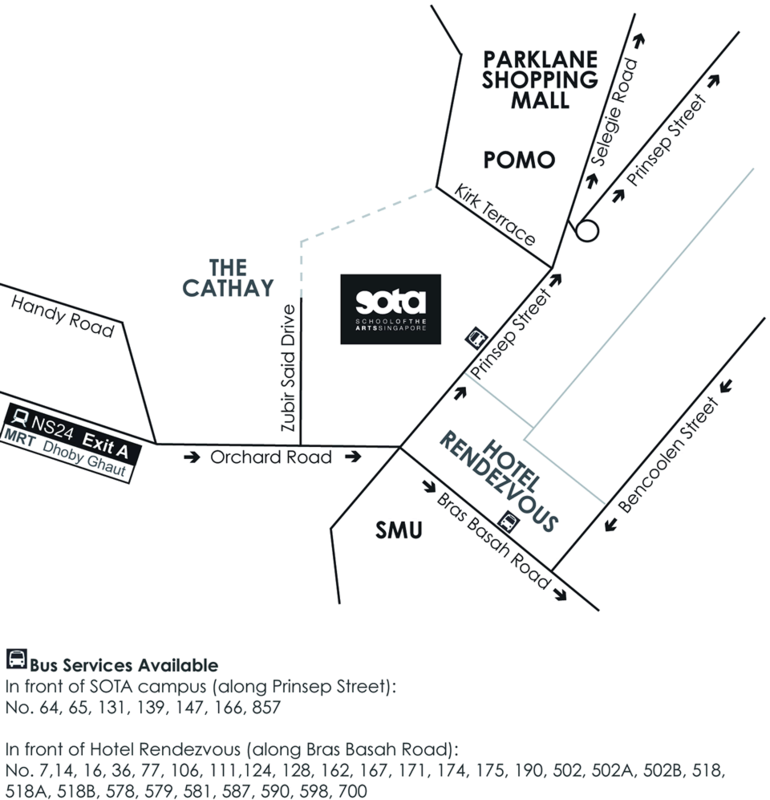 More information will be give this friday, 14 Oct 2011. It will be held in School of the Arts Singapore (SOTA). 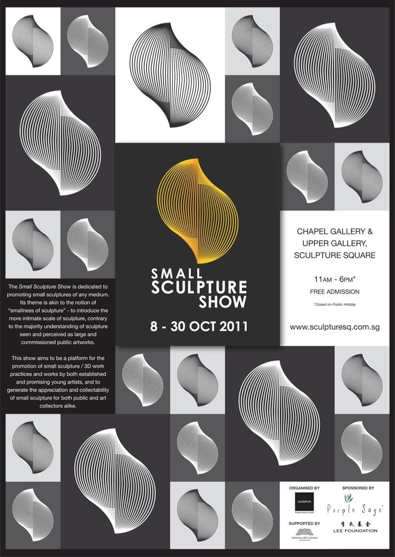 The Small Sculpture Show is dedicated to promoting small sculptures of any medium by Singapore or foreign sculptors and artists. Its theme is akin to the notion of “smallness of sculpture” – to introduce the more intimate scale of sculpture, contrary to the majority understanding of sculpture seen and perceived as large and commissioned public artworks. This show aims to be a platform for the promotion of small sculpture / 3D work practices and works by both established and young artists, and to generate the appreciation and collect-ability of small sculpture for both public and art collectors alike. The Small Sculpture Show is presented by Sculpture Square, supported by the National Arts Council and sponsored by Purple Sage and the Lee Foundation. Some students from SOTA are exhibiting in this exhibition including Ng Jun Jie, Wesley Tay and I from the pioneer cohort of SOTA.